You are here: Home / Kentucky History / Love, Love, Lovin’ the New Explore Kentucky History App! 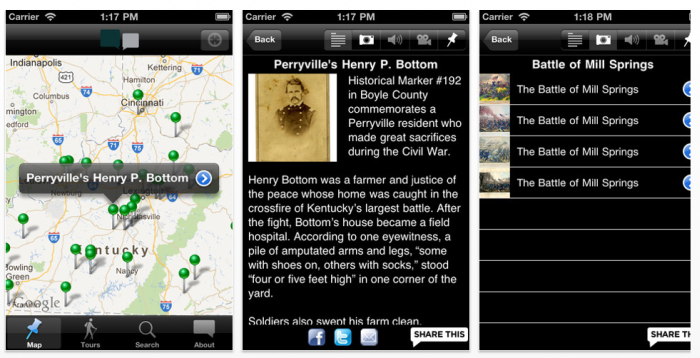 Love, Love, Lovin’ the New Explore Kentucky History App! 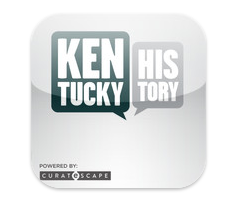 I’m over-the-moon excited to tell you about a new free app that’s available on iTunes now: ExploreKYHistory. When you look for it in iTunes, you may have to resort to searching for Kentucky, then finding the app amongst the choices. I searched for “ExploreKYHistory” and ‘Explore KY History’ and iTunes couldn’t find either. My love for all things Kentucky and all things Historical ensured that I wouldn’t give up that easily. So I searched for Kentucky and found the app listed on the first page of results: Explore Kentucky History. 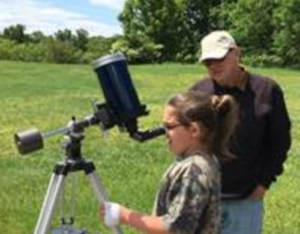 The Kentucky Historical Society (KHS) is expanding its offerings to connect communities with local history through a new smartphone application, ExploreKYHistory. ExploreKYHistory became available in both Google Play and iTunes application stores on Aug. 16. 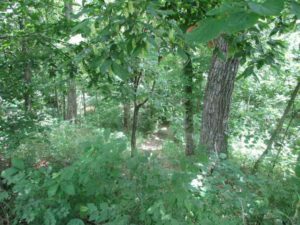 The app connects Kentucky communities by combining the history behind each community-driven historical marker, related items in the KHS collections and user-submitted images and stories into mapped points of interest. Related historical markers across the Commonwealth are then grouped together into tours. “What’s great about this app is it takes the Historical Markers Program, which is something that’s really significant to people and their communities, and ties it to a much larger story, like the Civil War,” says Jody Blankenship, KHS education director. These are local pieces of history that communities consider most important, and the app makes these available to everyone, in the palm of their hands. The first available tour is Civil War related. A War of 1812 tour will be released in the fall. 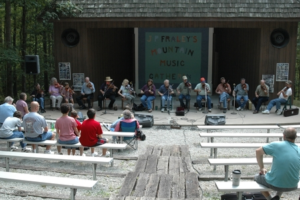 KHS hopes to connect communities further by eliciting participation from local historical societies and Kentucky citizens. 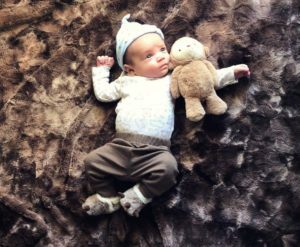 Users will be able to submit images and stories for inclusion in the app. To find out more about this and other KHS programs, visit www.history.ky.gov.